Shirdi is extremely famous for its holy place of Shirdi Sai Baba. The place is located in the state of Maharashtra. 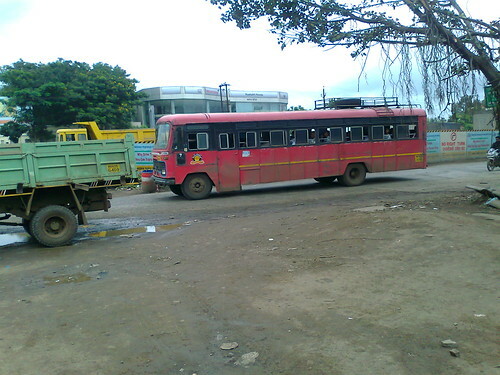 The main bus stand of Shirdi you can get down is operated and managed by Maharashtra State Road Transport Corporation (MSRTC). You can easily reach Shirdi from any city in Maharashtra by road. Maharashtra State Road Transport Corporation (MSRTC) operates buses to and from Shirdi to various destinations within Maharashtra like Mumbai, Pune, Sholapur, Nagpur, Nasik, Kolhapur, Lonavla, Thane, Aurangabad, Manmad and many other cities around Shirdi daily. The buses include super Volvo, regular A/C, Non A/C, deluxe and sleeper buses. At the same time you can get bus tickets from Shirdi to Baroda, Ahmedabad, Gandhinagar, Vadodara, Bangalore, Mysore, Hyderabad, Chennai, Vellore, Cochin, Calcutta and many other cities outside Maharashtra through Maharashtra State Road Transport Corporation (MSRTC). The buses work at important hours throughout the day as per the requirement of the passengers daily. You can also get buses during night on long journey for extra refreshments as per your requirement also. The bus fares are decided by Maharashtra State Road Transport Corporation (MSRTC) may depend upon the length of journey and the type of bus. The bus fares are normally economical and reasonable for every passenger.